One of the most important factors that set the One-Year general sonography program at the Institute of Ultrasound Diagnostics apart from most schools is the fact that our program can be completed in only 12 short months. Students looking to complete similar sonography training from other colleges or universities would expect to enroll in programs lasting 18-24 months or longer. At IUD, our students are able to receive an exceptional education and begin a career as a diagnostic medical sonographer in approximately half the time of other job seekers once prerequisite classes are completed. 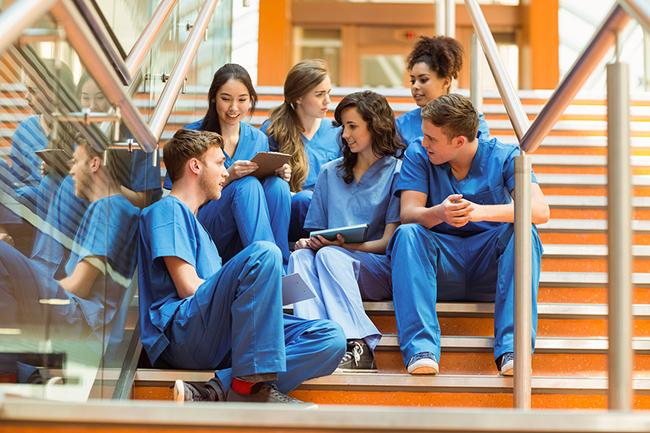 For many students, the prerequisite courses may have already been completed through another medically-related educational program. Applicable course credits obtained from accredited institutions will typically transfer to IUD upon enrollment into the One-Year Program. For students interested in enrollment who have not previously obtained course credits for our prerequisite classes, the Institute of Ultrasound Diagnostics does offer these classes separately. Once all enrollment requirements are met, students can enter the One-Year General Sonography program. ** For those applicants who do not have an allied health or previous medical background, a Certified Nursing Assistant Certificate course may be taken in place of Introduction to Patient Care. A copy of the state issued C.N.A. certificate must be submitted and put on file. A CNA class is STRONGLY recommended for applicants who do not have an Allied Health or previous medical background. Of the eight (8) pre-requisite classes IUD requires, we offer all except College Algebra and Speech. The IUD prerequisite classes are offered online ONLY. College Algebra and Speech must be taken at an accredited school before any online prerequisite classes may be taken with IUD. IUD PREREQUISITE CLASSES ARE ONLY INTENDED TO MEET THE REQUIREMENTS OF THE IUD ONE-YEAR PROGRAM. THEY ARE NOT INTENDED FOR USE AT OTHER SCHOOLS AND MAY NOT BE ACCEPTED AT OTHER INSTITUTIONS. In order for applicants to be successful in our one-year, accelerated sonography program, it is necessary that students have a basic understanding of Anatomy & Physiology and Medical Terminology. All prospective students must have successfully completed all required courses with a minimum 2.5 G.P.A., as well as a minimum 2.5 G.P.A. for all other classes taken at the college level. If students earned less than a B in any of the required courses, it’s recommended that the classes be taken again to ensure a thorough understanding of the information. The carefully selected prerequisite course list has been established to help students find optimum success both in the classroom and in the workforce upon graduation. Is the One-Year General Sonography Program Right for You? Our admissions office is available to answer any questions you may have about the application process. We will review your application and transcripts, let you know if you need additional classes, and help guide you along the way as you determine when the best time is to start your training as a Diagnostic Medical Sonographer.